The Ranch provides residential treatment for adjudicated male youth. All youth in the residential program are in the custody of the Oregon Youth Authority and referrals are taken statewide for youth in this program. Youth participate in 13 hours of therapy including family, individual and group counseling facilitated by licensed therapists during their stay. The Ranch follow a D.B.T. (Dialectical Behavior Therapy) model which is modified to meet the treatment needs of the youth in the program. Youth are also involved in several skill building groups as well as educational enrichment activities. Drug and Alcohol counseling is provided on-site from Clackamas County Behavioral Health for youth who are assessed as requiring services. Youth also attend an on-site alternative school in partnership with Canby School District. Staffing ratios are 1 adult to 7 youth during the morning shifts and 1 staff to 5 youth during swing shifts. Overnight shifts are staffed 1 adult to 9 youth. The shelter and evaluation program is a voluntary program that provides assessment services for adolescent boys involved with the Clackamas County Juvenile Department. Youth in this program are involved in family, individual and group counseling facilitated by licensed therapists during their stay. 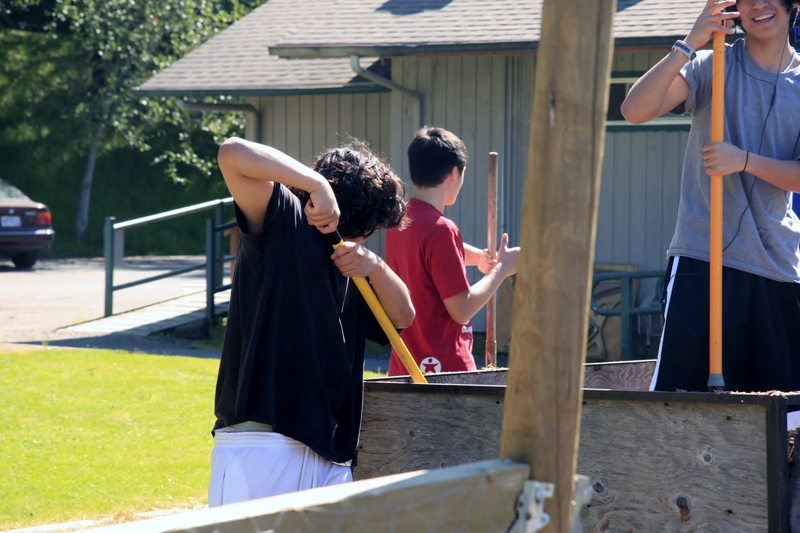 They also participate in several skill building groups, educational enrichment activities and attend an on‐site the alternative school through Canby School District. Parrott Creek Day Program provides supervision to adolescent boys during school hours at the on-site alternative schools. Youth in the Day Program come from Canby School District or are referred by the Clackamas County Juvenile Dept. These youth struggle with behavioral issues in a regular school environment, but find success in an alternative setting like Parrott Creek. This program supervises up to 6 youth between both programs.